The long-awaited sequel to the 2000 Oscar-winning film is now out in IMAX theatres and on Netflix. Exclusively for subscribers to the Asia Literary Review, we're delighted to present an extract from the companion novel, based on the original stories by Wang Dulu. 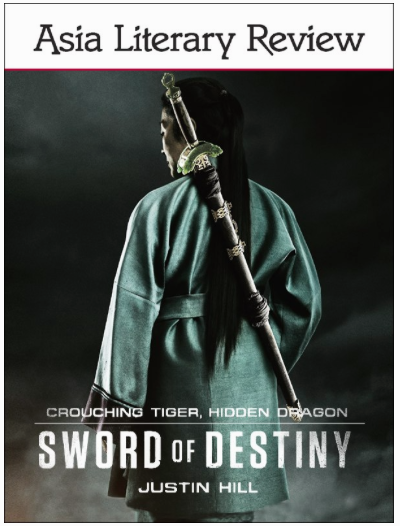 The highly-acclaimed author Justin Hill has created a soaring and enthralling novel, Sword of Destiny, scheduled for publication by Weinstein Books at the end of January 2016. The extract is available as a free supplementary eBook. You must be an ALR subscriber to receive the download, so if you're not already a subscriber, sign up now to get a taste of Hill's riveting imagining of this powerful and timeless martial arts tale. Not a subscriber? You can still whet your appetite with a look behind the scenes in our interview with Justin Hill. 'An epic tale of heroism and sacrifice, love and destiny. Action-packed and romantic.